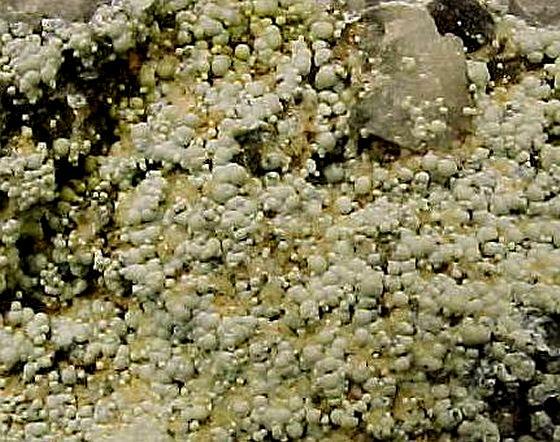 Comments: Light green, oolitic coatings of planerite on matrix. Location: Mauldin Mountain Quarry, Mt. Ida, Montgomery County, Arkansas, USA. Scale: Picture size 0.5 cm.